This mural was completed outside of our B-house art rooms in 2009. The students who worked on it are no longer in our building, but by scanning this QR code anyone can see those children working and read an explanation of the project. 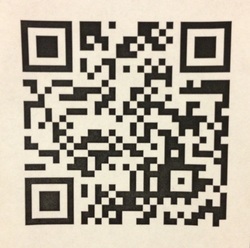 This QR code allows the viewer to watch a video of the mural being created. This behind the scenes footage helps to show the viewer how our public art projects have been created and can allow the artists to explain their process and influences. One of the biggest problems with district-hosted websites is the length of the address. 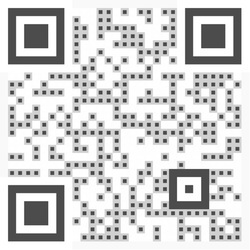 By posting a QR code outside my classroom door directly linking to my website I have made it simple for students (and parents on Back to School Night) to access and sign up for my website notifications. This not only helps to keep students and parents informed, but also helps to meet a building-level goal for increased communication with the school community. I was able to video the entire process for the creation of my school's 2012-13 mural project. The video is way too long, but this QR code allows the viewer to see every step of the process, from wall preparation to final results.